Yes, I know that tinted moisturisers aren’t strictly foundations, but I’m doing this post by request! During summer, I’m actually a big fan of tinted moisturisers, as they’re lighter, and generally offer better sun protection than traditional foundations. Nothing worse than looking a bit dry in the summer sun. The original formula is at the top, and the lite version is at the bottom. As you can see, there is actually a massive difference in the two shades, for me, the original is the one I actually prefer! But, I cannot tell a lie, I tend to use it more as a bronzer, or faux tan, than a tinted moisturiser. This is, however, actually my third tube of it! 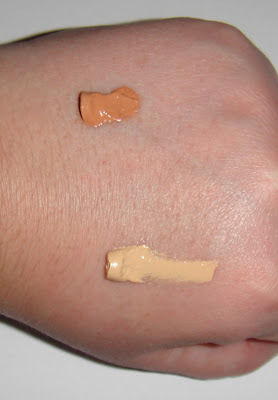 The lite shade is actually just a little bit too light, and can upon occasion make my NW20/25 skin look a bit washed out, but it’s good for winter. 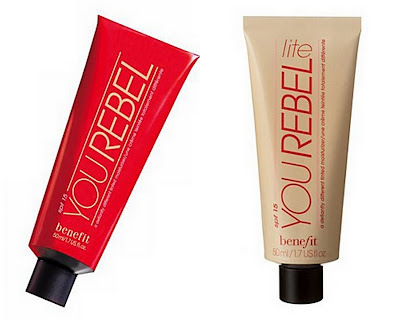 Much as I like You Rebel (and I’ve been using it since back in the days when it was still called I Am Rebel), it’s not, actually, my favourite tinted moisturiser, mainly because whilst it’s nice and pigmented, I find I still need to use a moisturiser underneath it. That’s mainly, of course, because I have stupid flaky and sensitive dry skin! For oilier skins, I doubt you’d need another layer of product with it, to be honest. 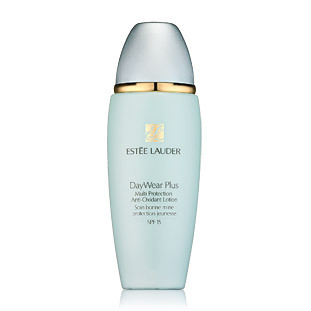 I occasionally also like to wear Estee Lauder DayWear Plus Multi Protection Anti-Oxidant Moisturizer SPF 15 Sheer Tint Release Formula (catchy!) which starts off a rather unappetising grey shade straight from the tube, but transforms on contact with the skin to a sheer (and quite light) tone, that isn’t quite as pigmented as the other moisturisers in this review, but is well worth a look if you’re looking for something that’s a bit lighter in texture. It also smells rather delightfully (if somewhat artificially) of cucumber, which is very refreshing on a hot day! What’s your favourite tinted moisturiser? Or do you think, as a couple of my housemates do, that they’re a complete waste of time? The Small Print: I bought these, they’re mine, I tell you, MINE! No PR’s were harmed in the making of this post. The only tinted moisturiser I've tried is Hissyfit, and to be honest I only tried it because I used to sell it and got a tube for free! It's has a rather thick texture but it goes on (and stays on) well on my oily skin. It also contains a SPF 30+ and seeing as it's made in Australia I know it's actually decent. The only problem is that I tend to break out slightly and I really don't dare to wear it more than once a week. Their body moisturiser is fantastic though. Bobbi Brown tinted moisturiser balm is da bomb. I was scared of the price, but forced to buy it by a very strident personal make up shopper (heh). My first jar lasted 2 years even with pretty regular use, so cost per wear is pretty damn good. Gives a nice coverage without being too heavy and it does smell gorgeous. It's wonderful, wonderful stuff. Def a few for me to check out there. I've aways been a little scared of TMs as I imagine myself looking like an oil slick by the end of the day. I'm keen to try out the new Colour Supplements from Lush. 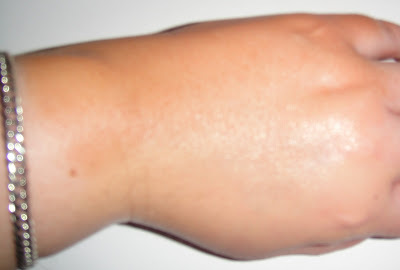 A customised tinted moisturiser sounds brilliant. Have you seen them? Kiehl's tinted moisturiser is my absolute favourite. I love their Ultra moisturiser anyway, but the tinted version is my favourite summer product. It has a decent level of pigmentation and just works well on my skin. I'll definitely be investing in some of the Bobbi Brown tinted moisturiser for summer, would like to try something lighter for the summer months. I bought the Lite version and was finding it ok… not amazing just decent but then I tried it over a moisturiser and it made a big difference. Like you I used the original version in the summer when I'm darker and really like it as long as it's very well blended!